Experience the jaw-dropping moves of authentic streetball-playing legends like Skip-To-My-Lou, Hot Sauce, AO, and the Professor-Or establish your own reputation by creating your own signature moves and style. New Feature- The right analog stick becomes an intuitive extension of gamers' hands, giving them the total control of every offensive and defensive move. Showcase you skills on the ultimate stage and compete against the world's best ballers. In addition, get signed to an AND1 contract for being the best 'virtual player'. Streetball Tour Mode - The search for the next streetball legend begins here: Live the life of an aspiring streetballer looking to sign the exclusive AND1 contract - including open runs, hazing, minigames, and elimination games. For the first time ever, players will electrify the crowds by putting together their very own created moves. Video Poker is the most popular casino game: combining the excitement of gambling on Slot Machines with the skills of playing Poker. 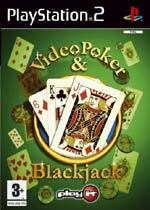 The Advanced Video Poker Simulator gives players a real expectation of winning and not simply relying on luck. 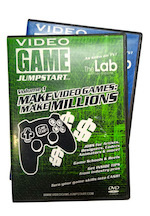 This simulator accurately reproduces the real world Video Poker experience so that, with practice, players can learn and eventually master the play strategies, which are the scourge of casinos. In addition, a full simulation of the classic gambling game, Blackjack, is included so that players can discover if they really are high-rollers. 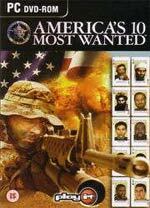 America's 10 Most Wanted enlists the military expertise of CIFR's top agent in the hunt for US fugitives listed on the FBI website, including the notorious leader of the Al 'Queda terrorist network Osama Bin Laden and the ousted leader of Iraq Saddam Hussein. Commentary is provided by Dan Rathner, star news anchor for the US television network CBS over licensed news footage from CNN. In game music is provided by members of So Solid Crew who will also make guest appearances in the game. The X-Files: Resist or Serve is a true 3-D survival-horror game experience spanning three original episodes created by the executive producers of The X-Files television show. In addition it features the likenesses and authentic voice-overs from the majority of the cast, including David Duchovny (Mulder) and Gillian Anderson (Scully). The fear begins when Mulder and Scully travel to the small Rocky Mountain town of Red Falls to investigate a string of unusual murders linked to ghost sightings, the undead and other paranormal phenomena. Mulder and Scully must pursue an inhuman killer to a secret research facility in the Siberian wasteland and finally into the depths of a buried alien spacecraft to unravel the mystery of the black oil and prevent the alien colonisation of the planet... for now. 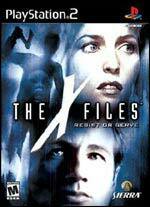 Maintaining the authenticity of The X-Files, the game features familiar environments and characters faithfully recreated from The X-Files television show, including Skinner, the Cigarette-Smoking Man, the Lone Gunmen and more. The X-Files: Resist or Serve takes the The X-Files authenticity one step further by also including the score and dynamic music created by those responsible for the music behind the television show. The game plays out over three The X-Files episodes (each complete with a teaser, title sequence, and "To be continued..." endings). 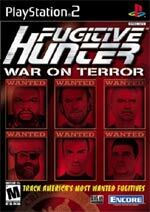 Fugitive Hunter is a fast-paced first-person shooter that challenges players to hunt down and capture the world's most wanted fugitives. As Jake Seaver, a former Navy Seal and current Fugitive Recovery Agent, the player must pursue criminals too elusive for law enforcement agencies. He must balance analytical prowess and physical strength to gather clues and question contacts met in his journey. Engage in hand-to-hand combat in 3rd person perspective "fighter mode"
Stay light on your feet, dance away from your opponent's flurries, and look for the opening that will send him to the canvas. Boxing is a sport of heavy stamina and quick reactions, and you'll have to have both to survive in Knockout Kings™ 2002. Train hard enough and that championship belt could be yours! 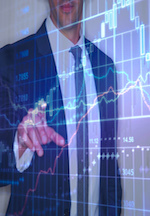 All-new game engine brings lightning-quick responsiveness and fluid movement. Motion-capture technology lets you watch the faces of your opponents contort in agony as you land big punches. Play as any of dozens of current and historical greats. Create your own fighter, train hard to learn new skills, and climb the ranks to earn a shot at the title. 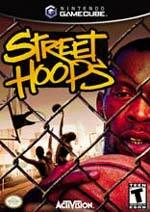 Street Hoops™ is an "in your face" street-style basketball game that captures the aggressive energy and attitude of blacktop competition. The game allows players to compete in a nationwide tournament representing their hometown on the most notorious street courts in the nation. 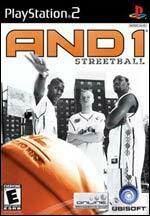 Players will be able to choose from a roster of athletes and performers, including key players that were featured in the And 1 Mix Tapes and Nike's "Freestyle" commercial series. 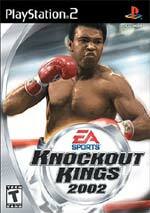 This new version of Knockout Kings 2001 on PS2 blows away all boxing games before it! You can play with over 40 past or present champions in 3 different modes of game-play. "Slugfest" where there are no rules. "Exhibition" where all rules apply. Or in a brand new "Fantasy Fights" mode where we play with your mind and match up many boxers you always wished would throw down in the squared circle! Or create your own boxer and fight in a deeper "Career" mode with new training exercises. This year we also add 4 of the best women boxers to fight each other for the Title! Al Bernstein, Max Kellerman and Teddy Atlas do the play-by-play and color commentary and 'Judge' Mills Lane and Richard Steele will do the refereeing. Don't mess with these guys by throwing too many illegals. They won't stand for it! All this along with over 1000 new motion captured moves, new signature and specialty punches, 3 boxing styles, high poly characters and trainer 'help' in the corners, this year's version will just knock you out! Experience the excitement and intensity of the year's biggest blockbuster movie, through the eyes of 007. The 1st person perspective is rich in its highly detailed environments. Follow the plot through real-time 3-D cinematics and exciting clips from the movie. Bond has saved the world countless times, and now you are 007. 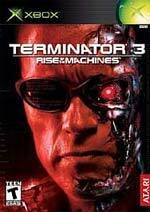 You are suave, sophisticated, resourceful and lethal as you carry out over 10 challenging movie based missions. Race through the streets of Istanbul. Ski the Caucasus Mountains. Engage in a gunfight aboard a Russian nuclear sub. Equipped with an arsenal of Q-LAB gadgets and weapons including X-ray glasses, grappling hook watch, cufflink camera, and much more, you will employ stealth, espionage action and overwhelming fire-power in each demanding mission. Are you cool under pressure, deadly when necessary? Of course you are. You're Bond, James Bond. Building on the tradition of previous years, March Madness 2001 promises to be the best college basketball game for any home console. Taking the March Madness franchise one step further, March Madness 2001 builds on the previous year's strengths and addresses game flaws from the past. March Madness 2001 contains more than 40 dunks and 40 Dynamic Ball Control moves that you can unlock and setup for your player to use. Also added this year is Coach Mode with team and coach prestige for tracking progress and Dream Tournament with Old Time college powerhouse teams. The game has been given an up-to-date look and load times and save times have been greatly improved. For the gamers, offensive and defensive AI has also been improved, but the best improvement maybe the fast break and the overall openness of the court which translates into great game-play. 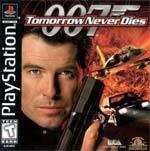 Tomorrow Never Dies is an exciting third-person action/adventure game that brings James Bond to the PlayStation for the first time. 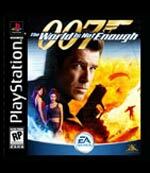 Using story and set elements from the blockbuster theatrical film Tomorrow Never Dies, players control James Bond as he tries to thwart megalomaniac media mogul Elliot Carver. A rich press Baron, Carver is attempting to start World War III by convincing the British and Chinese that they are making hostile advances towards each other. Bond steps into action to expose Carver's plan using his wits and a vast array of technical weapons, devices, and famous Q-gadgets. He also gets some help in select levels from Wai Lin, Chinese agent working on the same case. Warpath is a fighting game with unique modes dedicated to maximizing entertainment, whether the user is playing alone or with a friend. The one-on-one battles between two main characters take place in full 3D in an arena naturally constructed from environmental elements. In each confrontation you'll go tooth-to-tooth with the fly-infested, flea bitten, carrion smelling custodians of the domain. The fighting system in Warpath is designed to include more use of 3D and the environment than any other game, including dodging and flank attacks in addition to the already familiar high and low fighting game attacks. Warpath breaks new ground in a variety of areas, providing hard-core and mass-market gamers alike with a rich alternative in the stagnant fighting genre market. 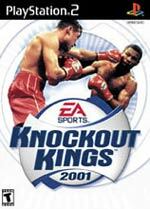 A brand new version of Knockout Kings on Nintendo 64 allows players to fight as or against great boxing champions. Players can choose Slugfest Mode or Career Mode depending on the style of game-play desired. In addition to the great fighters, players can create their own boxer. The Legendary Mills Lane will be refereeing and Al Albert and Shawn O'Grady will be announcing the fight. Voted Best College Sports Game of the Year by many gaming publications, March Madness 2000 captures all the passion and excitement of the collegiate game. Highlighted in this version are more than 150 Division I men's teams, 16 women's teams and some of the fiercest, fastest, most entertaining hoops actions to date. Players dive for loose balls, shake the boards on huge dunks and celebrate after made baskets as the crowd chants for their favorite squad. Over-the-top action deep under the sea. As Jack Runyan, ex-Navy Seal, your global treasure trek takes you from the shark-infested Great Barrier Reef to the foreboding abyss known as the Mariana Trench. Utilize the latest high-tech weaponry and submersibles as you explore sunken ships, battle sea monsters and confront madmen. The world is your oyster. 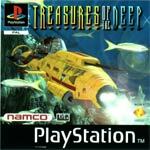 12 treasure-hunting missions including the Bermuda Triangle, Antarctica and the Aztec ruins off the Yucatan Peninsula. Terrorist activity is on the rise. Efforts toward regional stability and peace are failing, compromised by assassination, genocide, and racial strife. 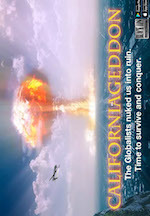 Separatism, nationalism, religious fervor, and overpopulation are fueling the fires of conflict. Israel. Ireland. New York. Tokyo. Around the globe, and in our own backyard, terrorist and gang activity is increasing daily, with no end in sight. In Black Dawn, it's up to you to make a difference. 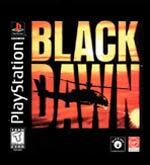 In Black Dawn you will primarily pilot the special AH-69 Avenger chopper. During the missions, you may also need land your aircraft and commandeer other vehicles. You must summon more piloting and sharp-shooting skill than ever before. Many of your missions will include ground-based insertions into deadly territory. You will need all of your commando guerilla fighting skills, and your piloting and dog fighting skills, to succeed. The missions will unfold on a need-to-know basis. 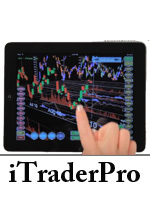 Concentrate on your primary targets and don't get sidetracked – on many missions a clock is ticking. Despite achieving record kill ratios with unsurpassed precision during Desert Storm, the United States Air Force retired its entire squadron of F-111 fighter-bombers in 1995. With dozens of international conflicts on the rise, and the increasing proliferation nuclear and chemical weapons to terrorist nations, the Air Force needed a new multi-role, first strike warplane for its covert operations. This new fighter would combine the YF-23's high performance airframe, the X-31's thrust-vectoring maneuverability, and the F-111's superior terrain and weapon-guidance systems.